Happy Saturday sweet people! I'm going to make this post quick since it's Saturday and I know everyone is busy! We've been rushing around quite a bit getting ready for our 6 week trip (ah!) 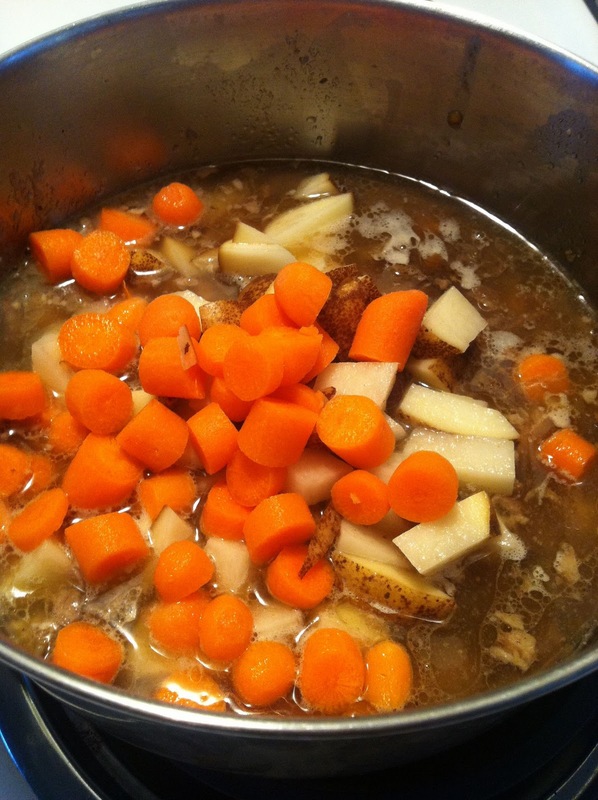 so dinner will be easy tonight... Saturday Stew, made from leftovers of our Wednesday pot roast. My mom always says whenever there's leftovers and dad wants to toss 'em, "don't you dare throw that away! i can make soup out of that!" Haha... so mom, you've rubbed off on me! We couldn't eat the pot roast 'as is' one more time without turning into a round chuck ourselves but I wasn't about to throw it out! So I turned it into this amazing little pot of stew! Let me show you what I did in case you've got ANY kind of meat and veggie leftovers that you're about to toss! Don't! 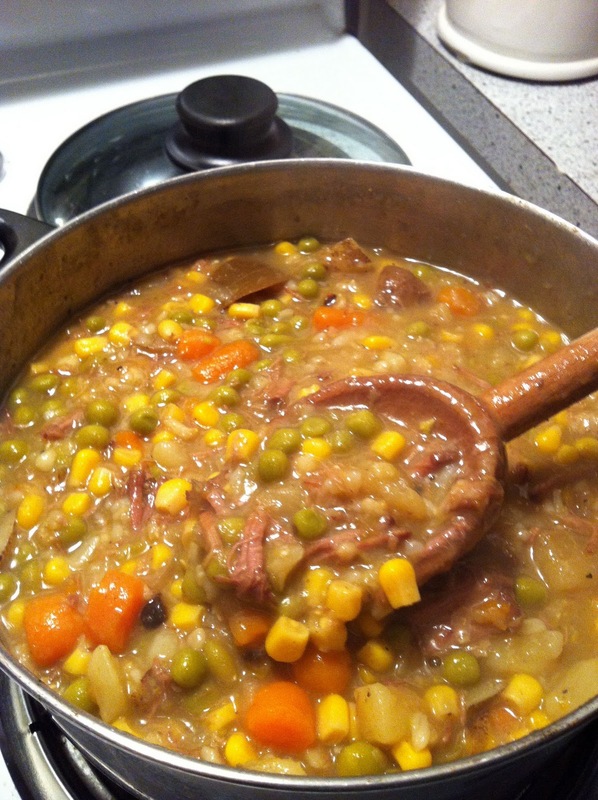 :) Make stew! 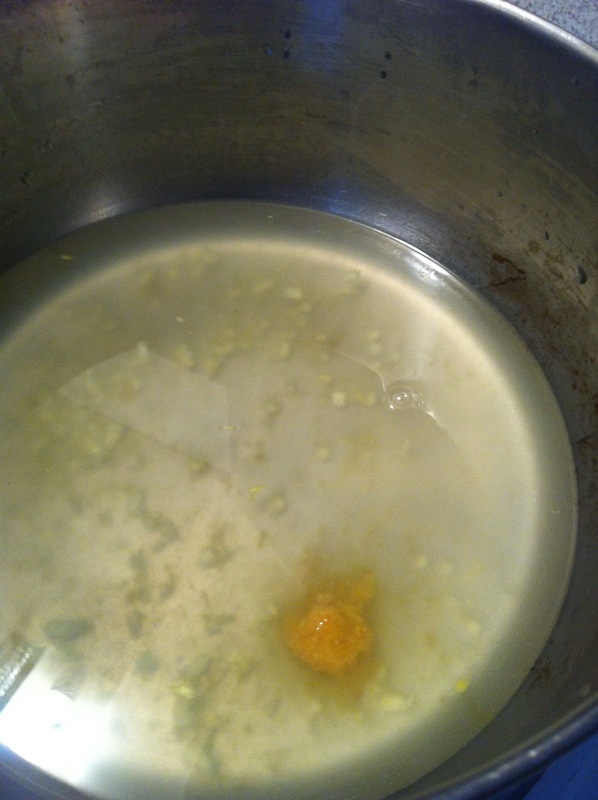 get out a stock pot and fill it with a little water, a chicken bouillon cube and 2 cloves of freshly minced garlic. I use chicken bouillon for stew most times since it's a bit saltier and I use garlic for everything always forever and ever amen just because. add your leftovers, just as is...meaning don't bother separating the meat from the carrots from the potatoes from the turnips etc... throw it all in, that's the glory of stew. i had leftover basmati rice so i threw that in as well, just to give it some umph. 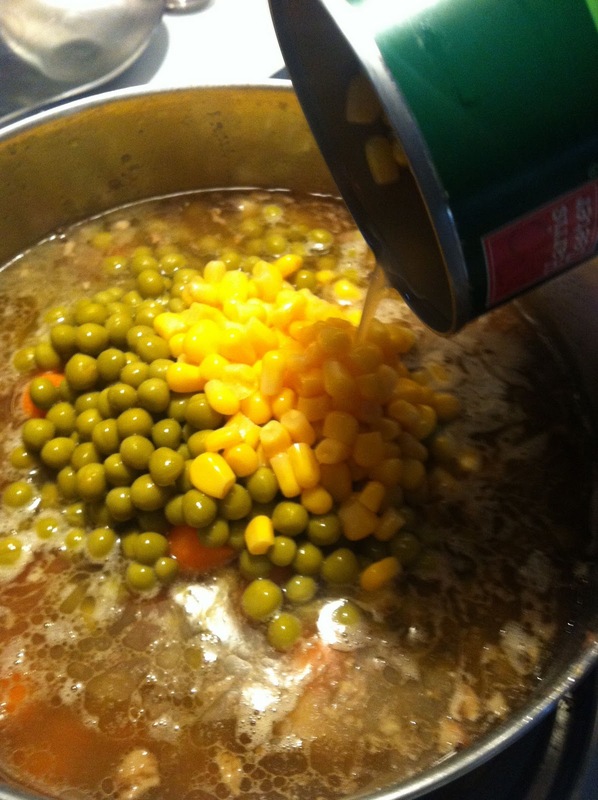 if it's not already in your leftover meal, add a can of peas and a can of whole kernel corn, WITH the juices. if you're making a bigger pot of stew for a heartier dinner meal for a lot of people, throw in a can of cannellini beans or whatever you have as well, NOT including the water. 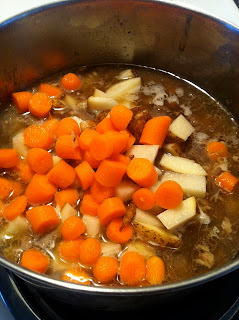 if it goes, add in a few baby carrots and maybe a few more diced potatoes. stew is a good meal to use up all of your odd amounts of produce that you have left at the end of the week. for example, i literally had 10 baby carrots left and 2 potatoes so i threw that all in instead of wasting it before we left town. salt to taste and pepper heavily. there's something so right about a peppery stew. if you have them (which you should) add a bay leaf or two to the top of the stew before you put the lid on.... such good flavoring and smell they give. then just let it simmer on 'low' for about 2 hours... or more if you've got the time. mine simmered for probably 4 & 1/2 hours and it's perfect. Okay so here's the update for those of you who don't know. James and I will be traveling to Australia for 6 weeks. I will of COURSE be blogging when I get there but I will be M.I.A. for 3 days, seeing as how it takes 2 days to get there even. When I finally adjust to the time difference, you can bet I'll be filling you in on all the culinary goodies Sydney has to offer. So check back in a few days and hopefully you'll be pleasantly surprised with some foreign foodie adventures! Have a terrific trip and visit with your family!